The radical left doesn’t just want to defeat Judge Kavanaugh, they want to kill him. They have resurrected the old political formula of fear and smear. 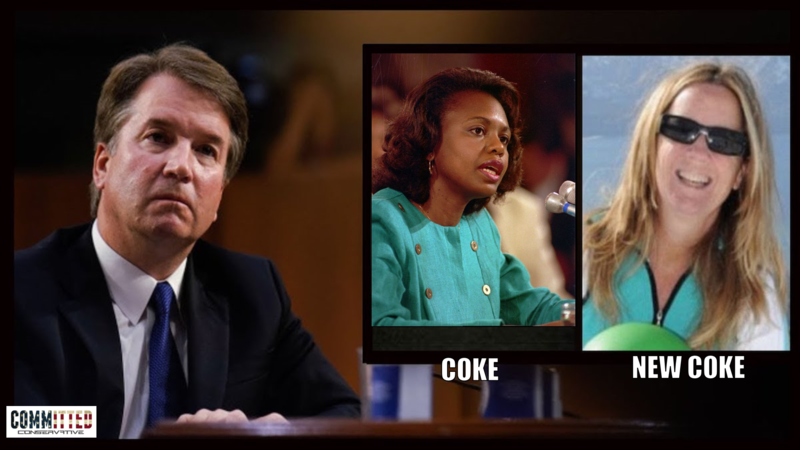 Like Anita Hill and her bogus coke can accusation designed to lynch Clarence Thomas, the “new coke” formula is the left’s last effort to fulfill one duty … Killing Kavanaugh. If you fall for this lie … you are either a rube or a radical. It matters little, which one. Know this, however, if the altleft successfully scuttles this nomination, it dramatically increases the likelihood of further division or worse. 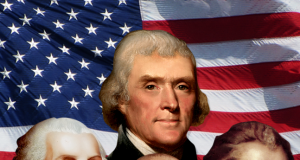 This latest disgraceful political charade by the altleft and its coalition of drones and political fanatics relies on a growing near religious fanatism in America where the two corrupt parties have successfully conned Americans in replacing reason with emotion and political ideology. When reason dies and only emotion and political tribalism is left behind, civil unrest and war are not far behind. Bet on it. Do you want to know how America wound up with Trump? It is because regular Americans have no faith or trust in our government, either party, or the mass media that attempts to manipulate them regularly. This latest, transparent set of politically motivated sexual assault accusations against Judge Kavanaugh is a new low in a political tantrum where low is the only direction Americans are headed. Let’s deal in facts first. The accuser is a liar. Her accusation is false, and those who worked with her to construct it know it can never be proven. They also know it to the unwashed political drones it can now never be unproven. The timing, construction, and purpose of the lie … those are real. They are out to Kill Kavanaugh. How do I know this is a lie? Well, I get paid to ferret out the truth from even the most careful liars. I would destroy this political fantasy in a withering barrage of questions and documents if the phony woman were under oath and subject properly to cross-examination and full discovery. Sure … I know … I am the committed conservative, so I must be partisan too. The truth has no party people, and a good analysis of facts is the best defense intelligent people have against these types of high-stakes political lies. Remember, I came out strong against Mr. Moore, backing his accuser. Why? Facts matter. Do you know why lie-detector tests are inadmissible in courts of law, even though many courts accept what appears to be “junk science” in a host of other cases? It is because, despite what lay people think, the tests are inherently unreliable. They are particularly unreliable and susceptible to manipulation by certain types of people, like this accuser. Ask yourself this. Where is the cavalcade of other accusers, not to mention contemporaneous witnesses and victims? With other sexual predators, the accusers are many. Look at Cosby, Clinton, Weinstein, and Franken. In fact, I wrote about predators like these men when setting out the profile of sexual predators in the Franken Factor. Some even say that President Trump fits this profile. Maybe he does, maybe he doesn’t. Judge Kavanaugh, does not. I have worked with and am still counseling current victims of a sexual predator. So, yes, I understand completely that in some cases, under some facts, they hold these terrible secrets for years, but it is often the fear, shame, and intimidation that keeps them down. One fact is always easy to assess with respect to these allegations. That is an analysis of the character and conduct of the accused. Sexual predators don’t have one victim. They leave a trail. Kavanaugh has no trail. In Kavanaugh’s accuser, you have the perfect radical-left formula. You have “professor” who comes forward out of an “obligation” and makes a 35+-year-old allegation that can’t be refuted, defended, or in any way substantiated. What else do you get from the accuser? You have a radical left, activist, with personal animosity toward the judge and his family. You have a political activist with deep-seeded hatred toward the President. And, you have an allegation carefully manufactured, structured, released and timed to include leaks, high-profile press coverage, and a readymade interview with one of the largest paper’s in the country, right before a sure vote for a Supreme Court nominee. The altleft media is in hysterics screaming #metoo. Yes, well … Me too. I smell a lie, a con, a fable, and a political smear designed to kill the nominee and drive the nomination past the midterm election, hoping the Democrats will take the Senate. The NeverTrump media, including conservative poser Jennifer Rubin and others are already demanding an “investigation” and that the Senate halt the vote. What Ms. Rubin wants is a hanging … she’s all in for Killing Kavanaugh because he was nominated by Trump, and by-God she despises him. That’s not good enough sweetie. Our system of justice doesn’t permit a scenario where any accusation made by a woman against a man deserves the suspension of due process. The reason we don’t prosecute and investigate these types of allegations and why we have statutes of limitations is because time destroys evidence, clouds memories, and makes stories and motives unreliable. Mr. Kavanaugh isn’t a predator. He’s a victim of political smear designed to destroy and slander him. The assault is here to ruin his name for his children, and no matter what it takes, stop him from sitting on the US Supreme Court. Every politician associated with this tactic should be thrown out of office. Let’s look more closely at this victim and last-minute accuser. She is a long time Democratic supporter. She made contributions to Clinton, Emily’s list, Friends of Bernie Sanders, and a host of other altleft liberal causes. She purported to first came forward with this allegation in 2012, around the time Romney was running and liberals like Jeffrey Toobin reported openly that if Romney won, Kavanaugh might be his first Scotus pick. That’s not all, of course. The accuser’s parents were defendants in a bankruptcy matter in Maryland. It turns out, Kavanaugh’s mother presided over that matter on the back end. It appears she was only part of the case for its final disposition, but the coincidence is concerning. She signed off on a letter opposing President Trump’s enforcement of immigration law that resulted in the legal mandate of separating the children from their criminally charged parents. Here’s a question for you. If the accuser wanted to remain anonymous, why did she purportedly take this lie detector test last month? Do you think she just walked in on one day’s notice and winged that Washington Post interview? Is there a coincidence that her lawyer is a radical, left-wing, anti-Trump kook funded by Soros and running the organized campaign against him? I am certainly not suggesting that left-wing political activists can’t be victims of sexual assault. Indeed, they can be. The passage of time in this allegation has nothing to do with justice delayed, it is instead an effort to have a Justice denied … to the Supreme Court Justice. He has answered. He said it was a lie, and it never happened. There should end the inquiry. Any fifteen-year-old girl who was purportedly assaulted in the way she claims would have told someone, if not everyone she knew. She told no one, apparently. Even now, withered and angry alumnae from the elite, all-girls school she attended in uber-liberal Bethesda Maryland, are circulating a letter of support for the accuser. Read the left-wing story about it. Note, some of these women claim they all “heard stories like this” before. Not one of these, bitter-beer-faced, left-wing kooks, however, heard this story. Make sure you take note of that. The baby-killers, man-haters, Constitution-deniers, and the open-border crowd are forming a line, and it is all only for killing Kavanaugh. If he goes down … our broken political system may devolve into a shooting war. You watch.